Loopmasters proudly welcome the very talented tub thumper Nathan Curran AKA Tugg the Drummer to Loopmasters for a powerful collection of Live Disco and Electro drum chops ready to drop into your House, Disco, Electro productions. Next up, came the Electro Session where Nathan dusted off his Vintage Simmons SDS1000 Electronic Analogue drums and took to the rubber pads jamming out beat after beat of solid dance floor grooves. Once the session was recorded we pushed the loops through some of the vintage classic gear lying around the studio to maximise the impact and presence in the mix without over processing them with plenty of headroom for you to shape the sound to fit your needs. The collection also features a number of effected and heavily processed electro drums for producers looking for something a bit more wacky ready to go. Nathan Curran aka Tugg has played drums all over the world, performing and recording with a wide variety of artists including Basement Jaxx (his long term gig), Sir Elton John, Roots Manuva, Pnau, Lily Allen, Reef, Kano, Lady Sovereign, Them Is Me, Faze Action, Candy Staton, Defected Allstars and many more. 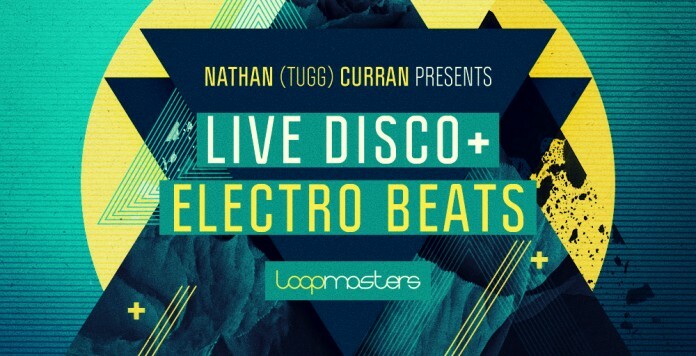 Nathan Curran Live Beats combines Tugg’s famous in the pocket Disco, Boogie and Afrobeat grooves with straight up classic 80s Electro and Dance rhythms for a completely punchy and funk drenched collection of ready to go drum loops for producers of Disco, Nu Disco, House, Electro and Dubstep worldwide.